#30. 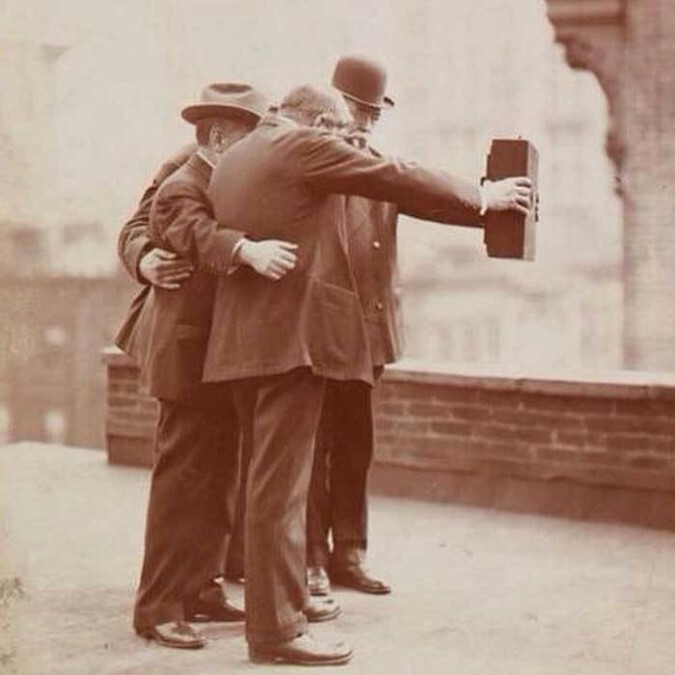 Taking selfies in the twenties. – 33 Rarely Seen Historical Photos… What On Earth Was Nancy Reagan Thinking? Each of us are the centers of our own universe. However, if you take a minute and consider the fact that millions of people came before, and millions of people will come after you, suddenly, your universe is enormous, and you might actually feel quite small. Don’t think about it too much – it might freak you out. History forces people to examine themselves in that way, and that’s what makes it so interesting. These 33 historical photographs are certainly compelling, but what we’re grateful for is the fact that encourage us to think about our lives in a totally different way – all of our little pictures are all part of one enormous picture **- #29 might still influence you today. Sorgente: #30. Taking selfies in the twenties. – 33 Rarely Seen Historical Photos… What On Earth Was Nancy Reagan Thinking?